When first released for the Playstation 2, Final Fantasy X was a drastic departure for the series. The series was taken into many new directions. Non-linearity was fundamental to the franchise, and it is partially the reason why so many gamers loved the early iterations, yet FFX is quite linear (For those that worry about linearity, don’t let FFXIII dissuade you from playing this gem). Voice acting would also become one of FFX’s largest selling points. 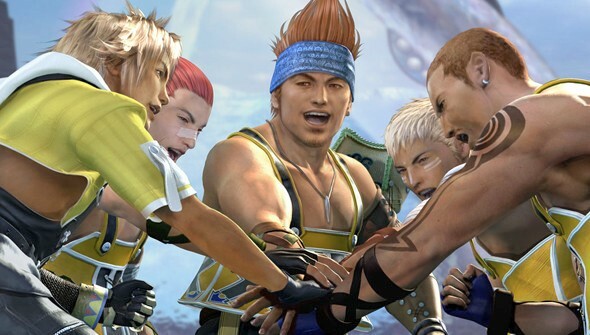 Thirteen years, and four numbered titles later, the company has struggled to build upon FFX’s success. The story follows Tidus and his journey through a world where individuals named “summoners,” alongside their “guardians,” are tasked with defeating the world’s immortal enemy: Sin. The plot seems simple enough at first, but the further you advance the story, the more you realize the grim nature of embarking on such a quest. Twists and turns are in abundance, making it fun to squeeze every last detail from the mythology. Despite having one of the most somber plots in the franchise, FFX is among the most visually stunning games of any generation (including the current one). The artists, not content with reusing the more drab look of previous FF titles, decided to throw in every tropical color available. Islands, which make up for about one-half of the environments, are reminiscent of the original Playstation’s Chrono Cross rather than more recent island based games: Far Cry 3 and Assassin’s Creed 4: Black Flag. Characters have the distinction of having some of the most outlandish outfits in gaming. Tidus, besides being a glorified water-polo player, is also an extravagant dresser. Metal gloves, a bright yellow jacket, net inspired shorts, mixed with oversized boots, never looked better. It’s safe to say that the character artists really went out on a limb with some of their outfits, but it fits extraordinarily well with the world of Spira. The gameplay is largely the same, with the addition to the international version’s sphere grid. Turn based gameplay is not for everyone, but if you were to pick one game to try and get used to the system, FFX is that game. Swapping characters out on a whim keeps the action flowing nicely, while allowing for some interesting strategies on the players behalf. Prior to the game being rereleased, many fans were nervous that S.E. messed up the whimsical soundtrack of the original game. While they have remixed some of the tracks, they are mostly for the better. Half of the time I was so caught up in the action, I hardly noticed the differences. One of the more quaint upgrades to the game, trophy support has to be one of the best features implemented. If you needed a reason to revisit Spira, the trophy list will keep you there a while. Planning on beating the game while getting the platinum? Be advised that it will easily take you around 80 to 100 hours to do so. Granted, it will be hours well spent. Thanks to the remaster, the game is better in almost every regard. Yet the acting and voice-overs still have issues. Secondary characters are almost flawless, however, the problems lie in the main characters. Tidus is annoyingly high-pitched when he gets excited, while Yuna sounds depressed, even at times of enjoyment. Perhaps the former issues are me being nitpicky, but it goes without saying that the most glaring of faults is the poorly executed lip synching. It plagued the original game, and it is even more obvious this time around. 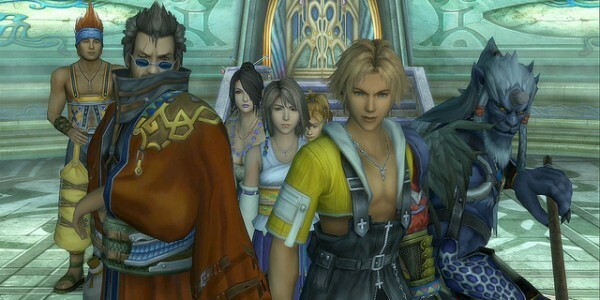 Despite some minor flaws, Final Fantasy X is the best game the series has produced in over a decade. You can look at this and scoff at Square Enix’s inability to replicate its success, or you can look at S.E. and admire how they have created a classic that still holds up today. I undoubtedly fall into the latter.